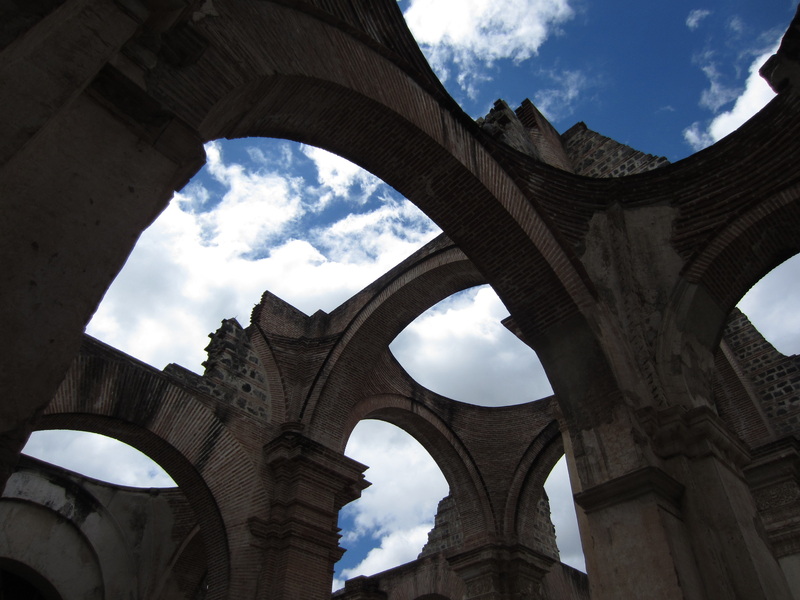 Photo taken last Saturday at one of the many cathedral ruins in Antigua, Guatemala. I took this photo last Saturday during my nine day adventure in Guatemala. I fell entranced by Antigua’s ancient ruins that were laid to rest behind rebuilt cathedrals after countless devastating earthquakes. My blogging friend Lucy Brown of Loca4motion took me around Antigua on a photographer’s paradise. We had an amazing day together sharing stories about our lives and snapping photo after photo of beautiful Antigua. Lots more photos to come here on this blog as well as longer versions on my main blog thirdeyemom. Stay tuned….you are in for a treat! Nicole, thanks for sharing a fantastic day with me! You took this photo in the ruins behind the cathedral on Parque Central. Looking forward to seeing more! I was hoping you would comment Lucy as I didn’t have time to double check but did believe this was the main church’s ruins. Ahh…..I miss you already! Wish I was back but glad to be home. Now I can understand fully why you have lived in Antigua. I fell in love with its beauty!!!!! Nicole, it’s the cathedral ruins. And yes, Antigua is a very photogenic place which my camera never tires of, even after all this time! It’s an easy place to fall in love with, just a shame you couldn’t spend longer here. Ah Lucy! I will be back someday but if you are in Thailand then I will go there first! You know I’ll be there! Thailand here I come!